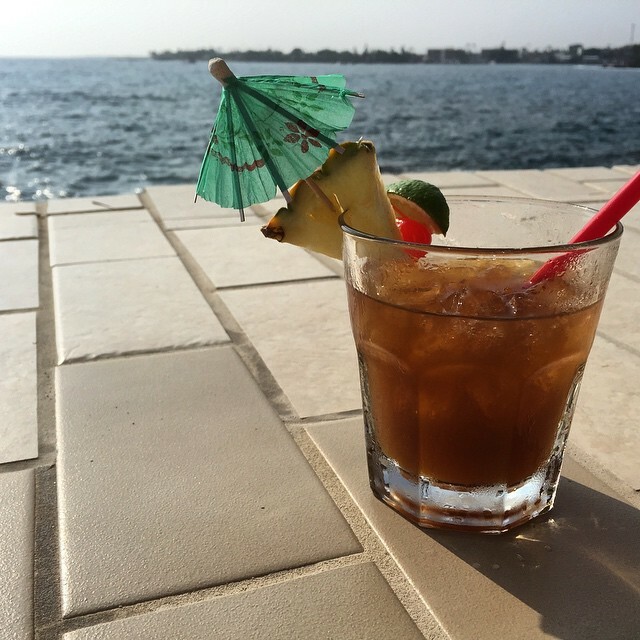 The one thing that caught on my eye on the wedding invitation: a luau at the Royal Kona. The little eighth grader inside of me was jumping for joy. 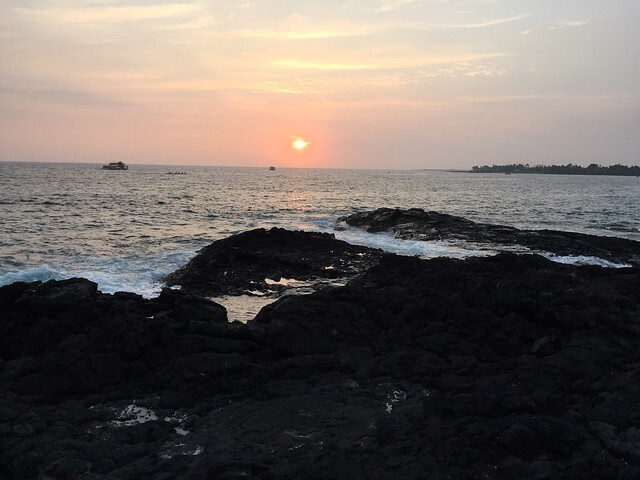 We enjoyed our first sunset in Kona sipping Mai Tais, catching up with Bay Area friends and waiting for a pig, slowly roasting in the ground. 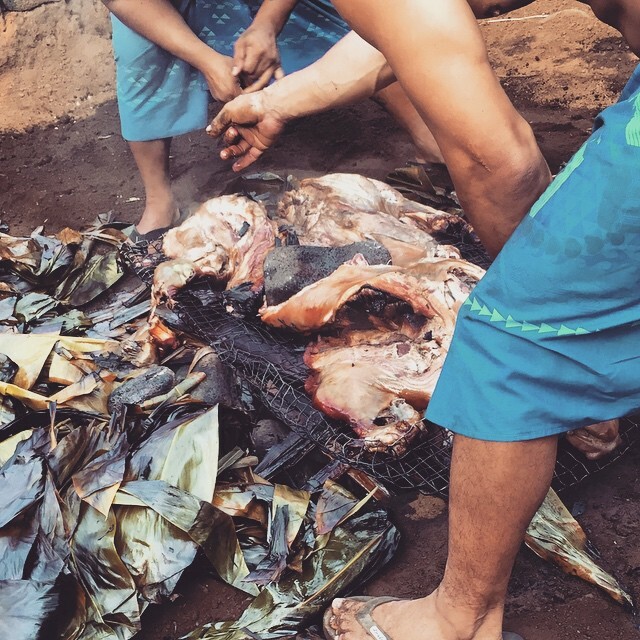 I had a bucket list for food on our quick weekend trip to the Big Island of Hawaii. 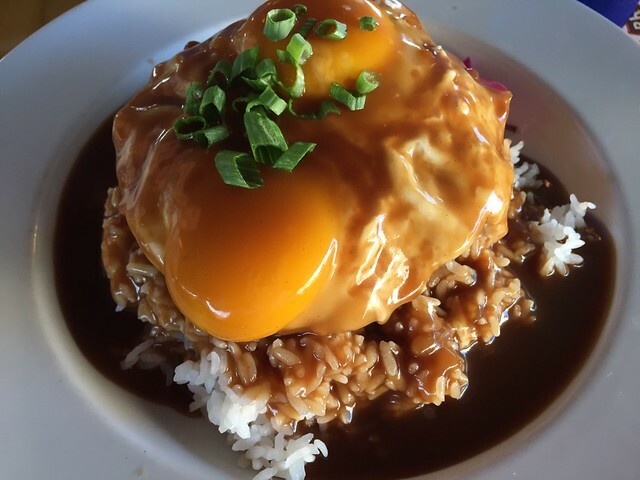 Loco Moco at Splasher’s Grill in Kailua-Kona. 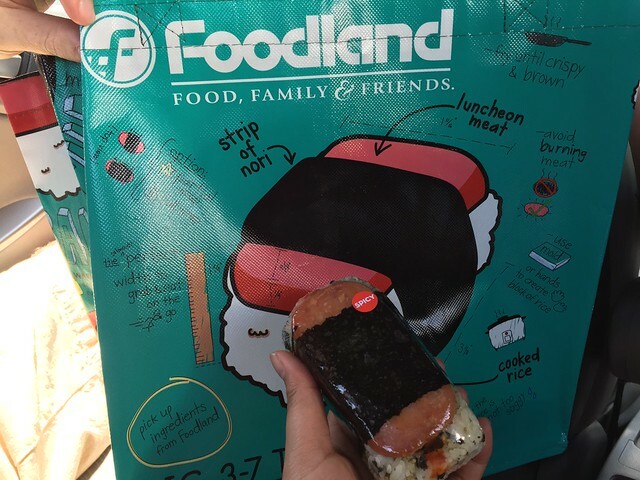 Spam Musubi at Foodland Farms in Kohala Coast. 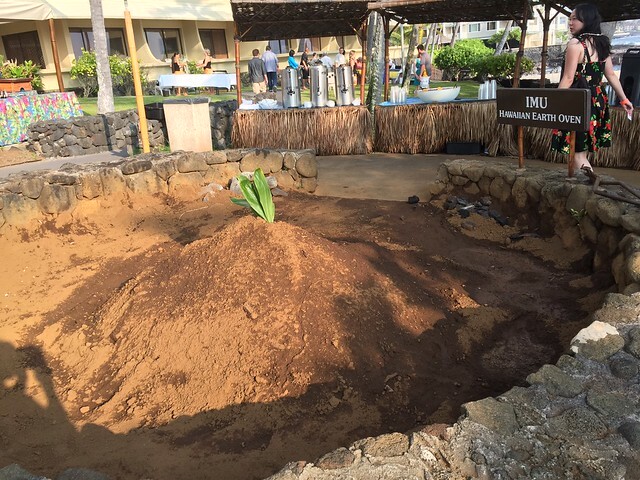 Kālua pig at a luau inside the Royal Kona Resort.